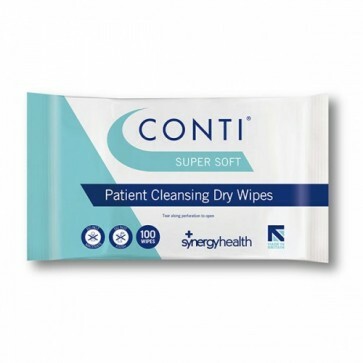 Conti Super Soft Wipes are highly durable and soft wipes ideal for daily cleansing, with a gentle and luxury feel that is ideal for use on sensitive skin. The wipes are heavy weight, meaning they have a high level of strength, softness and absorbency. The wipes are latex free to ensure they will not damage or irritate the skin during use. Conti Super Soft wipes contain polyester and viscose, providing a combination of strength and softness.